Valve's service worked well for CD Projekt's PC version compared to other download portals. The Polish developer has its own download portal in Good Old Games, but when stacked up against Steam there was almost no competition between the two. 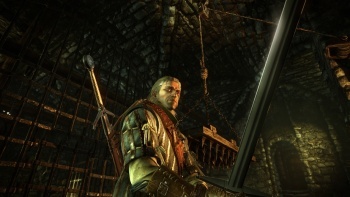 In fact, all the sales from other online retailers Direct2Drive, Impulse and GamersGate added up to 10,000 copies of The Witcher 2, and GOG.com only added another 40,000. Steam on the other hand sold 200k copies of The Witcher 2 in the same time period. Good Old Games director Guillaume Rambourg used these stats to make the point that restrictive DRM hurts sales - saying that GOG's ability to sell more copies of Witcher than the other portals was due to its non-DRM policy. "Your customers hate DRM," Rambourg said. "DRM is making companies feel safe while they handle some business, they are trying to protect their product and protect their sales, but the reality is very different. "The reality is DRM does not protect your content," he continued. "Every game is pirated within a few hours of release or more often before it's released. DRM is not protecting your product or your sales, it's going to harm your sales in the long run." Honestly, I kind of agree with the sentiment, but the sales figures for Witcher 2 are a bit skewed. CD Projekt has built a loyal following, so that more than likely accounts for the difference in GOG sales vs. Direct2Drive and the others. The massive Steam sales though seem to point to the fact that a form of DRM that only allows you to play the game when signed in to a service is still alive and well. So, I'm on board with Rambourg - a DRM-less world would be ideal - I just don't think he's using the right numbers or game examples to prove his point.